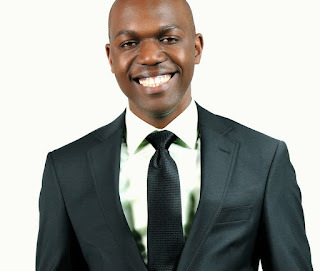 NTV’s The Trend host and news anchor Larry Madowo recently decided to throw his two cents on the behaviour of social media users who hardheartedly attacked the late Nana Gichuru who succumbed to a grisly road accident at the Eastern Bypass in Nairobi a few days ago. Beautiful, free-spirited Kenyan actress Nana Gichuru died tragically in a road crash last week on the Eastern Bypass in Nairobi. Though I never met her, I did allow myself a casual glance at her social media pages, like everyone else. ‘‘Life’s journey is not to arrive at the grave safely in a well preserved body’’ she captioned one selfie, quoting Hunter S Thompson, “but rather to skid in sideways, totally worn out, shouting: ‘Holy crap, what a ride! She lived carelessly and probably had it coming, the Internet decided. On Facebook threads, clueless tweets and reshared posts on Instagram, commenters mostly agreed she should have been more restrained. Never mind that all that was left of the young lass were carefully selected pretty pictures from exotic locations and updates often taken out of context. While people are out there living their lives the best way they know how, experiencing breathtaking moments and meeting interesting people, they are hiding behind their devices criticising and finding fault where there is none.